Ukraine has dropped one position in the top 20 agricultural exporters to the European Union based on monetary value, and is now in fifth position, according to the latest Monitoring EU Agri-Food Trade report of the European Commission, published in early January. The total value of Ukraine’s agricultural products exported to the EU is estimated at 5.1 billion euros for the period of November 2017 to October 2018, or 266 million euros less than for the previous period. This still makes the country the fifth biggest exporter to the EU. “The most important sources of EU agri-food imports over the past twelve months remain Brazil and the United States, followed by China, Argentina, Ukraine, Switzerland, Turkey and Indonesia, each accounting for between 4.4 and 5.5 billion euro(s),” the report reads. At the same time, EU exports to Ukraine over the same period jumped to 16 percent reaching 272 million euros, the report says. Ukraine went up by two positions currently ranked 16th among the 20 most important destinations for European exports of agricultural products, reaching 2 billion euros. 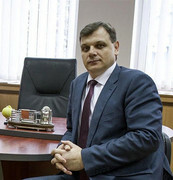 However, Pavlo Koval, general director at the Ukrainian Agrarian Confederation, sees no reason for start panic. He says that lower prices for some categories of agriculture products are one of the reasons for the decline. “Soybean prices decreased while being exported, but volumes might have even grown. This is something (exporters) should work on to maintain macroeconomic stability,” Koval told the Kyiv Post on Jan. 11. Another reason has to do with EU’s food quotas, which have not been increased for Ukraine over the past year. “The quotas have not been revised, and there are those that Ukraine traditionally uses up just in a few months, for products like garlic, apples and tomato juice, grain processing products, and honey,” he said. In addition, Ukraine could find other markets for its products. “Currently, Ukraine has increased the volume of agricultural exports to other countries, such as to India, but not to the EU,” Koval said.